I spent some time in Washington DC last summer with a few friends. 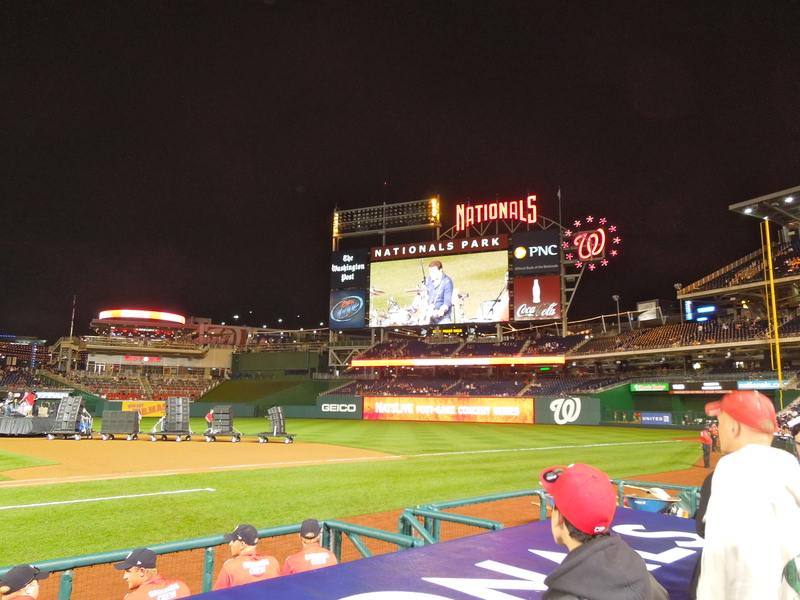 One night, we went to see a Nationals game – after a torrential downpour and rain delay, the Nats won a hard-fought, one-run game. 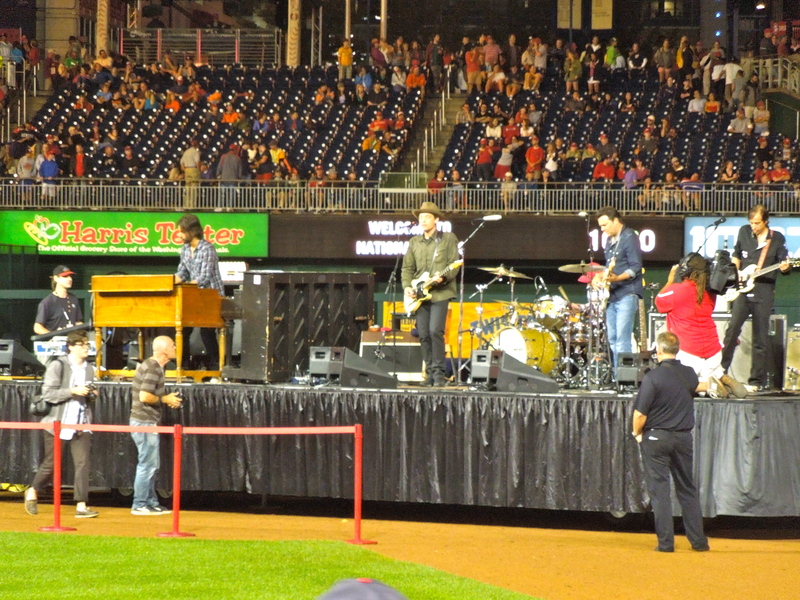 After the game, there was an impromptu concert by The Wallflowers. We had no idea they were playing. 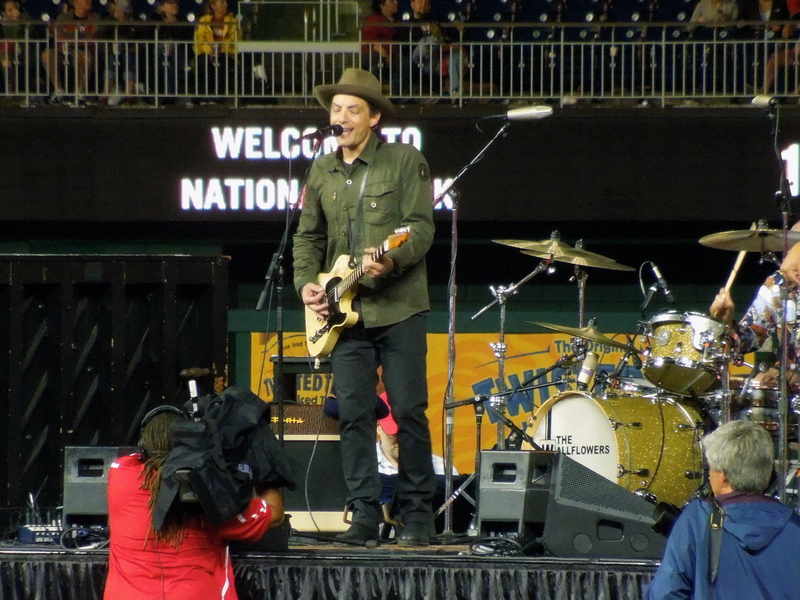 Now, most people don’t know The Wallflowers, but I have a few of their albums in my iTunes, so I was very familiar with them. And I really like their music. So, just like that, free of charge (if you don’t include the price of the game ticket), I got to see them play – right smack in the middle of a baseball diamond. We moved up to the second row behind the dugout. It was awesome. Anyway, here is their best known song. It reminds me of the 90s. Below that are some pictures I took.